Last night Spring House at Brandywine held their first resident event! Residents met the new office staff during a wine and cheese themed happy hour. 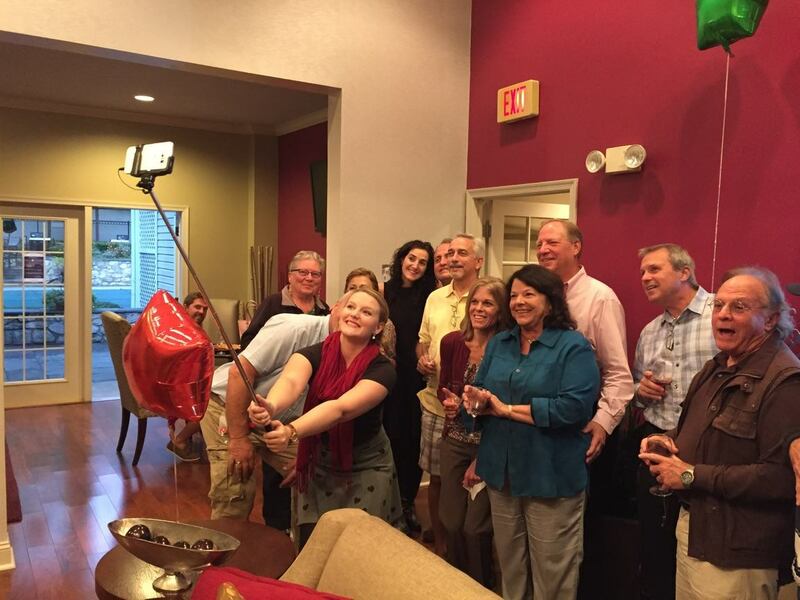 A great way to get to know everyone and break out the selfie stick! Check out more pictures of the residents and the new office team Jackie, Rachel, and Kevin over on our Facebook. Be sure to come out next Tuesday for our spooktacular Halloween party. Wear your best costume!